You must make reservations at least 5 minutes in advance of the time at SER. We have underground parking directly below our building at 1110 N Glebe Road. Entrance on Glebe Road, not 11th Street. Parking is $2 with validation up to 3 hours in duration (M-F 11:30 a.m.-2:30 p.m. and after 5 p.m. and all day Sat. and Sun). 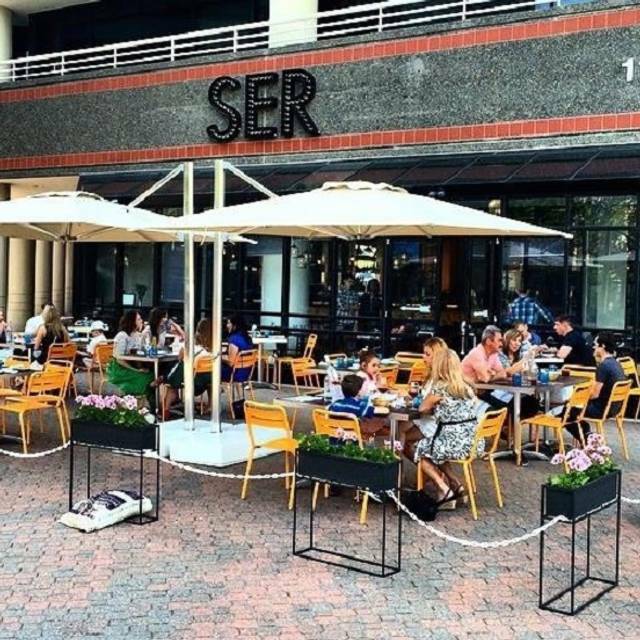 SER is the winner of the Ballston Business Improvement District's 2014 Restaurant Challenge. 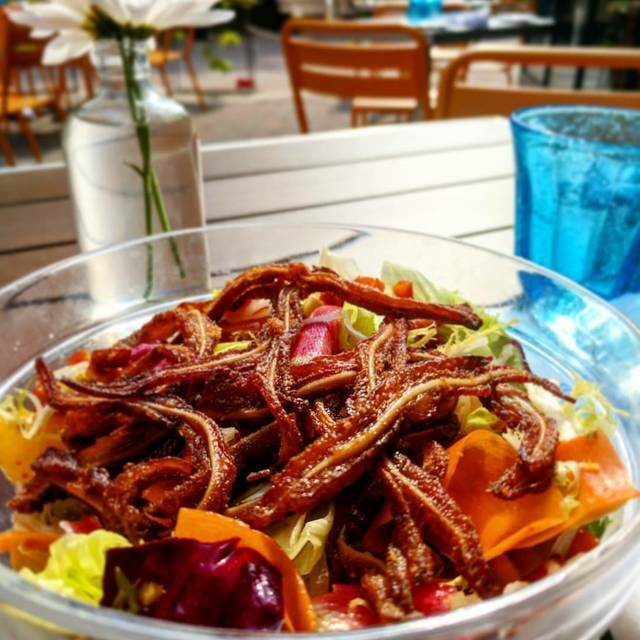 It is an authentic Spanish tavern or “food house” with a casual, hipster vibe. But, take note…it’s not a tapas restaurant. It’s a gastronomical journey and cultural adventure throughout every region of Spain. It’s an easy-going gathering spot where guests can enjoy typical comfort foods and beverages from Spain at any time of the day or night. 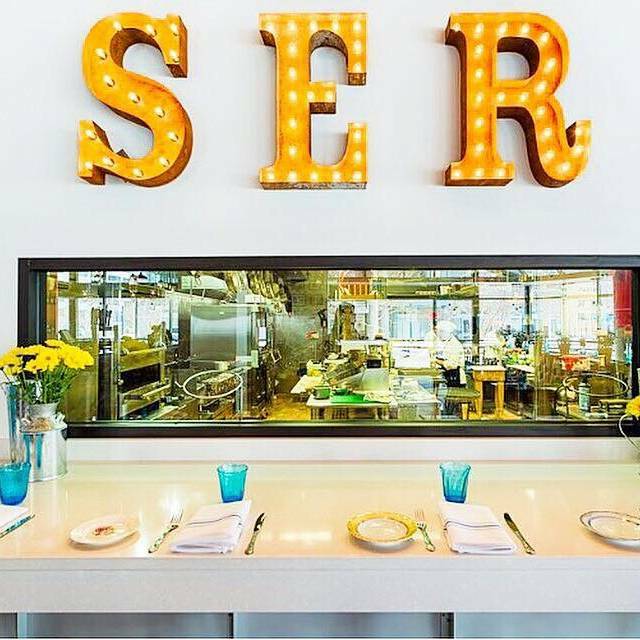 The team at SER are your foodie friends from Spain who have a mean kitchen, sharp cooking skills, and comfortable house where you hang out until the wee hours of the night. Easter dinner. Food was excellent but it seemed like they forgot half of our order which came about a half hour after everything else. The servers were very pleasant and the manager visited each table which we really appreciate. We have dined at Ser a number of times. This is the first time the hostess didn't open her mouth when we came in, but looked at us as if we had two heads. Someone needs to give that young lady a few lessons on how to great customers. I really think it soured our visit this time. In addition my chair just about fell apart. Not a great visit. Terrific food, wonderful wine selection (and advice), a lovely experience for a weekday night. The duck and the lamb were memorable. We'll certainly be back soon. Great food and service. They were very attentive to our needs with allergies and very fast to serve and keep our drinks filled. Overall a wonderful experience. Food was ok. Just the ambience seemed loud and the staff looked rushed so it was not a place for a quiet dinner for sure. Always friendly, great service. Food and wine were excellent. Service and paella were incredible. 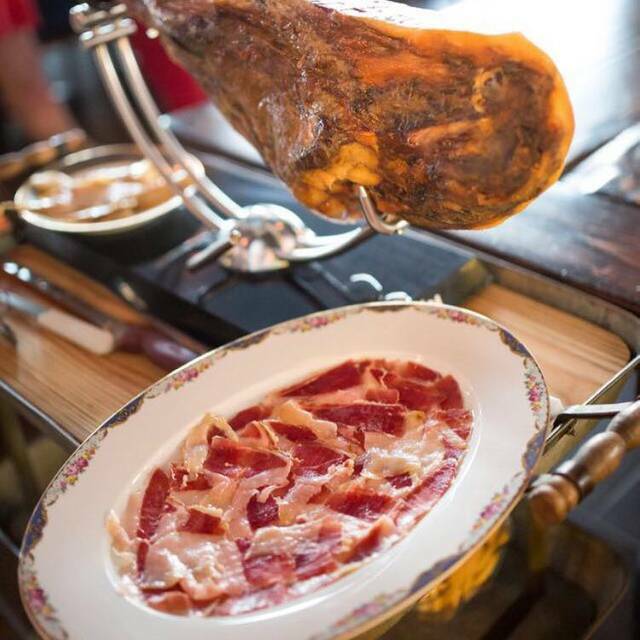 Wonderful flavors; a true slice of Spain in Northern Virginia. So this was a sub-par day for SER. The waiter let our drinks sit on the bar for a while before he remembered to serve them, so they were watery. AND, they mixed up our orders when they set them down in front of us, and we didn't realize they were mixed up until too late. Any my eggs over easy were hard as a rock when I got them. Disappointing, because I was bringing my cousin here for the first time. Extensive , appealing and interesting brunch and tapas menu ( did not see regular) Our entrees were good overall, although the home fries were bland with no seasoning and appeared to be baked not fried. The tapa side did not appear until we had finished the meal ( despite us checking on status twice- its cost was deducted so kudos for good management redress). Friendly service. Easy parking with discount option. Good neighborhood place . Will go again to see how it fares at dinner. If they beef up the seasonings it can go good to very good. 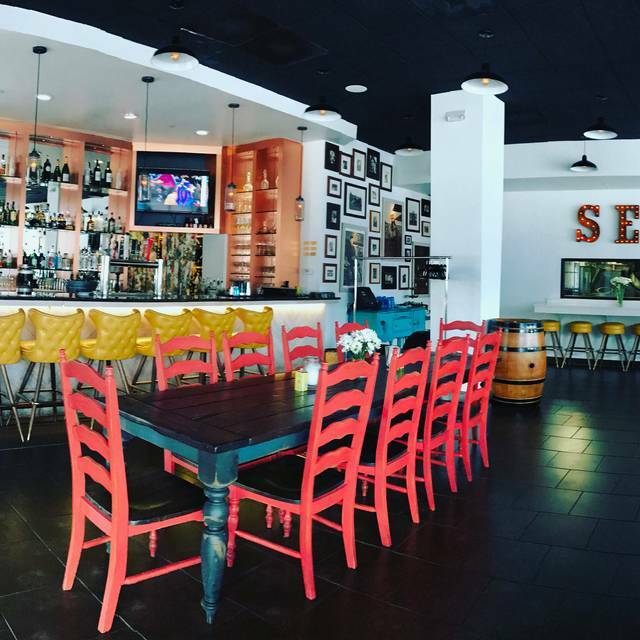 The friendly service, delicious foods, fun cocktails always make SER a great place to go for dinner or drinks. We sat at the bar for happy hour and dinner, and Fernando, our bartender and waiter was excellent throughout the whole meal. 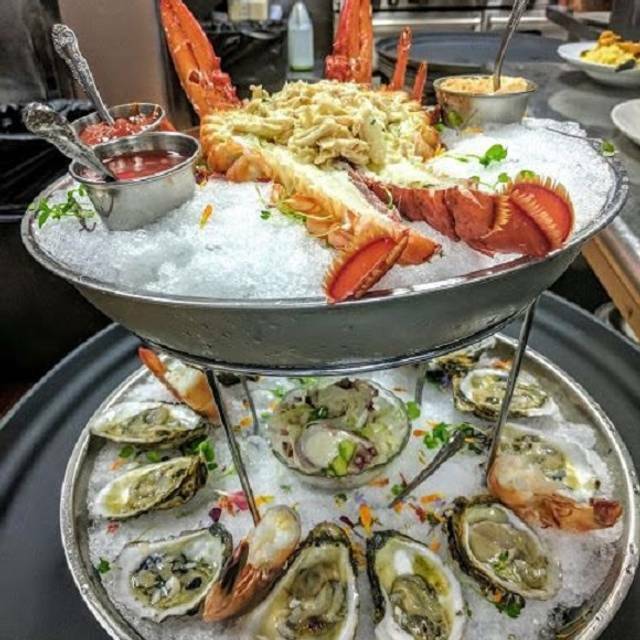 The $80 seafood tower was very disappointing. Tasteless oysters and shrimp. The 'whole lobster' did not have claws, the octopus was over salted, but the best thing on the tower. The shrimp still had the heads on, but were also quite tasteless. The lamb was requested to be rare, but was medium well. The duck with risotto was fabulous. We have eaten here many times and the food and service has always been impeccable, but, this last visit was not up to snuff. Seafood paella and red sangria was delicious! Couldn't decide where we fancied eating until someone local suggested a Spanish they'd been recommended but not been to yet. The food and service was fantastic. Very glad we visited. Great fish. We all had the grilled Dorado. Creative cocktails, a hip environment, great music, excellent service, this place checks all of the boxes and is my favorite restaurant in D.C. area. Overall an incredible dining experience. The drinks, appetizers, and food was delicious. I would suggest the lamb shank and the fried snapper! SER is possibly the best restaurant in Arlington. This experience was even better than prior ones. 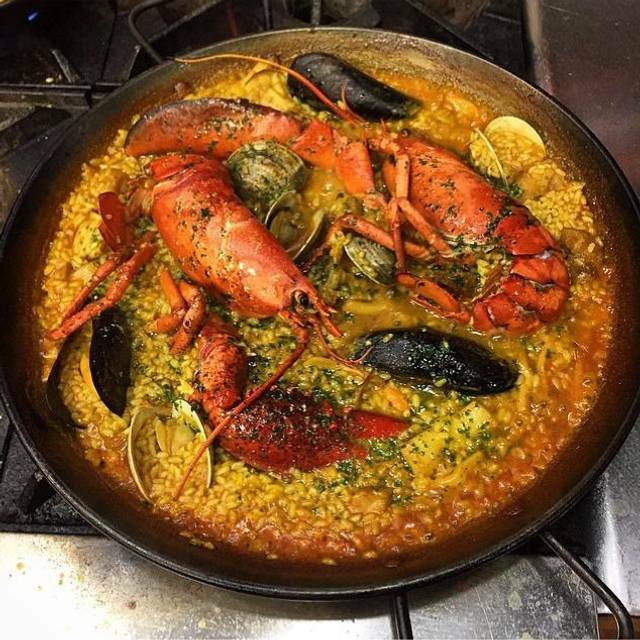 Our large party enjoyed virtually every dish - the paella, cod, tuna, snapper, steak, duck, croquettes, fried green tomatoes, almond cake, churros, and chocolate soufflé were all outstanding. The wine was also fabulous. The noise level was a bit high this time. The waiter disappeared a few times but otherwise delivered excellent service. The venue and location is great, shame about the food. We were there with actual Spanish (from Spain) customers, and the food was uniformly disappointing to them on every level. Nothing at all like the nation whose cuisine it supposedly represents. Mostly, it was without any sabor (taste). Perhaps change the name to Estar (a less permanent state of existence), or Fue (it use to be). Nice place 👌to eat and enjoy authentic food. Looking forward to the next time. Fabulous food, great wines. Always a slow and enjoyable evening. Javier, the owner is a must gracious host! Have dined here many times and this was one of the best dinners yet. New chef is very talented. The ventresca and new steak presentation were top notch. Excellent service. Get a bottle of Clio if you like a big, full-bodied red. Still the best food and atmosphere in Ballston and Clarendon. Had the sea bream incased in salt. Was salty, which usually , when prepared that way, it is not. We love SER. Each time we go, Javier and team do such a great welcoming us into their home and treating us like family. Happy hour at the bar is a great way to enjoy a lot of tastes if you don't want to commit to a full meal. Paella is first class. Jamon is top notch. The Sangria is delightful and the frozen fruit cube makes the drink visually pleasing as well. We feel very fortunate to have them in the neighborhood. Can't wait to sit outside and sip sangria when the weather gets warmer. Arrived early for reservation and was seated by Rachel immediately - nice not having to wait. Was sat next to another two top where the person was obnoxiously loud and he would not quiet down - must have been the bottle of white wine that looked like only he was consuming. Another server assisted my wife with wine recommendations - very helpful. After we ordered Rachel was nice enough to allow us to move - she saved the night. The first server was very polite but did not describe the salmon preparation properly. First server said she was bringing bread but never did - we asked the second server (Elizabeth, unless check was wrong) to bring it - she said she would but never did, otherwise very polite & efficient. Wife only ate half her salmon because it was incorrect preparation. The short rib was an excellent cut of meat, extremely tender - but completely flavorless. Food was delicious the only reason I didn’t give 5 stars is it can be very loud - to the point where you have to almost yell at each other to be heard or carry a conversation. Also the kitchen ventilation could be better. There is no coat area there’s clothes metal racks through out restaurant to hang your coat. I don't understand why this place isn't more crowded. The food is excellent, the service is good, and the ambiance is very nice. The first time I visited SER was for a company happy hour event that I hosted. They were very accommodating, welcoming, attentive, and everyone had a great time. I elected to have a business lunch with a potential client here yesterday, and the experience was wonderful, food was great, not too expensive, and the individual I met really enjoyed the ambiance. I will definitely be returning and highly recommend this restaurant. Neither the food nor the service is worth the cost. Great! Our first time. Warm welcome at the door and acknowledgement of our online request for a quiet table. Prompt and friendly service by Olja (pronounced Oy-a). Most important- best patatAs bravas- better than Jaleo! Delicious duck and grilled vegetables. Really good neighborhood restaurant. Worth the trip even if you are not from the neighborhood. Great relax atmosphere, excellent tapas. This is at least my fifth meal in about 2 years. It is consistently good for both lunch and dinner. Only reservation I have is that there is not much light / healthy fare on menu. Our family thoroughly enjoyed our experience last night (3/1). Our waiter Walter was very attentive and took great care of us, making excellent suggestions for our first SER dining experience. We were celebrating our daughter’s 21st birthday and was truly a special night! We will definitely be back! Me & My Boyfriend Met After Work and it was amazing. Demetri the General Manager is so pleasant and our Server Francisco was lovely. The food was impeccable. We can hardly wait to return. So romantic and beautiful. I met some friends who I have not seen for a while and we had a wonderful time dinning at SER. The food was delicious and the service was superb. I noticed that their happy hour specials are very good. I need to go back for a happy hour! 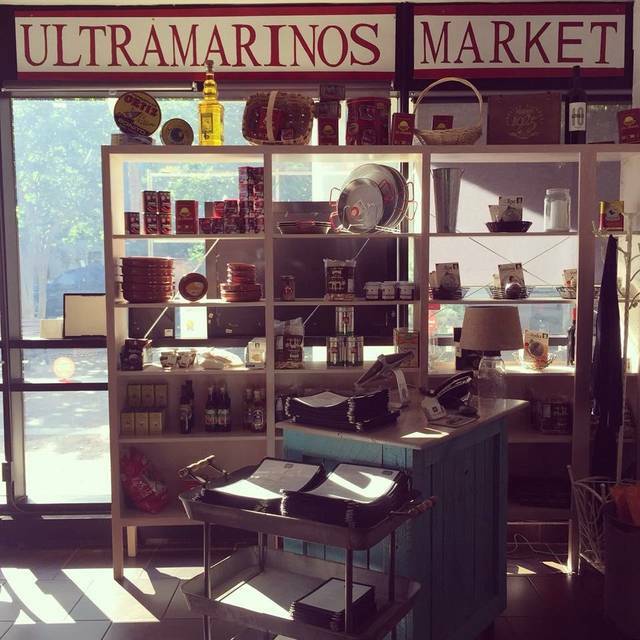 Best spanish food in US. 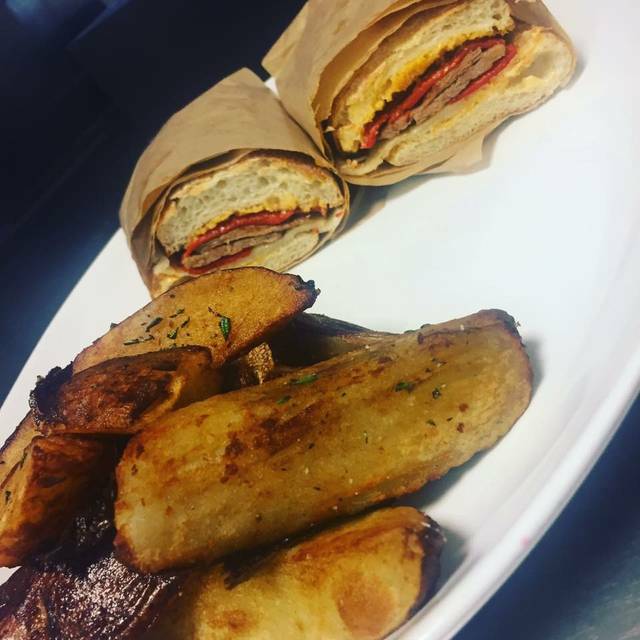 Authentic with consistently outstanding food and service with a busy ambiance that makes this a great place to eat or simply enjoy a drink at the bar. 5 stars.